A 1969 Berger COPO Camaro comes up for sale maybe only once or twice a year. That’s because Berger Chevrolet in Grand Rapids, Michigan only ordered 40 or the super high performance COPO Camaros that year. Now they are treasured by Camaro collectors the world over. 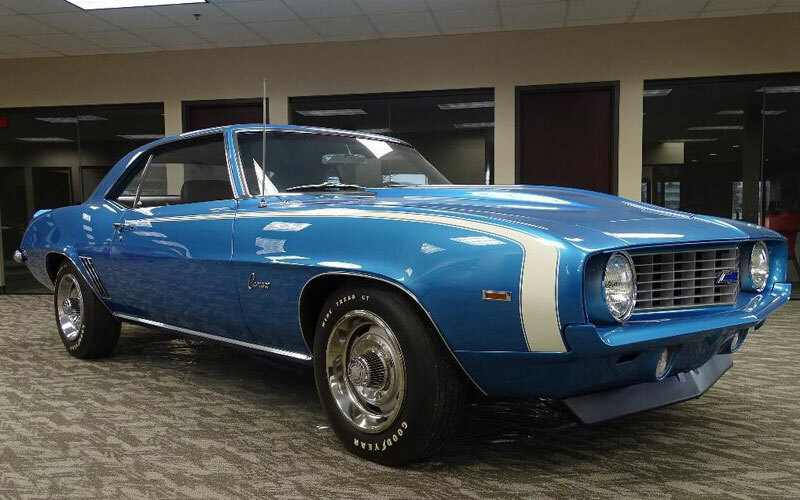 Blackdog Performance Cars of Lincolnshire, Illinois is thrilled to offer this example which they say has been restored and is “absolutely gorgeous.” It is a Lemans blue Double COPO which was sold at the Berger dealership in 1969. “This is a no excuses 1969 Chevrolet Double COPO Camaro,” they said. “The 427/425 horsepower engine and 4-speed transmission run exactly as they were intended to back in 1969, this is a straight-line animal!” Finished in the correct LeMans blue exterior with black vinyl interior, its drivability has been enhanced by updating it with power steering and power brakes. General Motors had a corporate policy against installing engines over 400 ci, 6.6 liters and 396 horsepower, in anything but full-size cars and Corvettes. Obviously, not everyone at Chevrolet felt this was right. Chevrolet Product Promotions manager Vince Piggins found a way to circumvent the engine ban for certain buyers by using the Central Office Processing Order, or COPO, program. 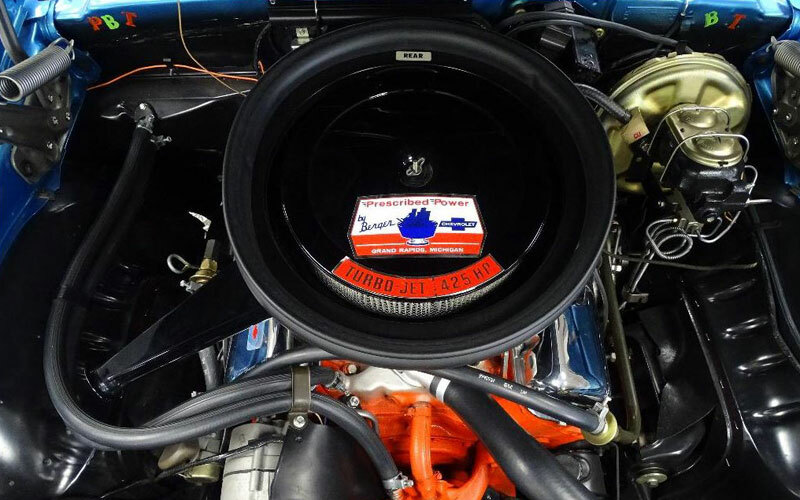 Normally reserved for fleet builds, Piggins was able to use COPO 9561 to get Camaros built on the assembly line powered by the L72 427/425 hp special high-performance big block. COPO stands for Central Office Production Order. It was a fleet ordering system implemented by Chevrolet for ordering large numbers of vehicles that required special equipment. The COPO process allowed a volume buyer to circumvent Chevrolet’s engine size limitations and equip a Camaro, Nova, or Chevelle with a 427 big block V8 engine. Approximately, 1,000 Camaros were produced utilizing the COPO 9561 order number, 40 of which were sent to and sold by Berger Chevrolet. This one was a Double COPO referencing two COPO ordering numbers, 9561 and 9737. The 9561 was the COPO order code for the L72 427/425 hp engine, and 9737 was for the “Sports Car Conversion Package,” which equipped the car with a 140-mph speedometer and beefier suspension and handling components. In a Pony car that weighed only 3,642 pounds, that much power would make it the ultimate factory built sleeper. In fact, you couldn’t buy it off a dealer’s showroom floor. You would have to order it through a special Chevrolet “hot rod” shop like the one at Berger Chevrolet in Grand Rapids, Michigan. 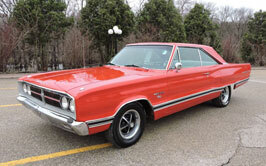 Yenko Chevrolet, Fred Gibb Chevrolet, Nickey Chevrolet, Baldwin Chevrolet and Dana Chevrolet are in an elite group of dealerships that catered to the “super car” buyer back in the day. Equally a part of that group was Berger Chevrolet in Grand Rapids, Michigan. All of these storied Chevrolet dealerships had one thing in common. They were all known for offering ’69 COPO 427 Camaros tweaked for the race track. And those Camaros are avidly sought after by collectors today. 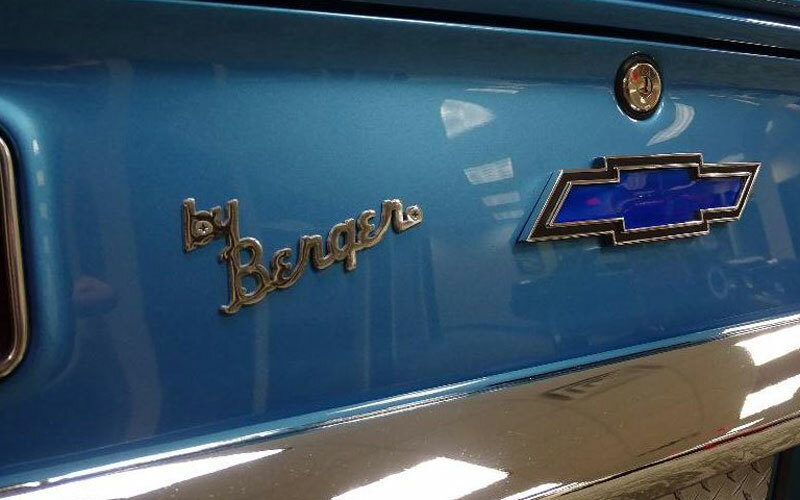 But one difference between Berger Chevrolet and all the others is that Berger Chevrolet is still doing business today on Southeast 28th Street in Grand Rapids. The L-72 big block 427 engine producing 425 horsepower was the perfect hot rod rat motor. It had forged 11.0:1 compression pistons, heavy-duty connecting rods, forged crank, four-bolt mains, solid lifter camshaft (.5197-inches of lift, measured at .050, 336-degrees of duration), rectangular port heads, 780 CFM dual-feed Holley, aluminum high-rise intake, and deep groove pulleys. It may even have come with the BE coded 4.10 rear end. Today this 1969 Berger COPO Camaro will be featured in the Cars-On-Line.com newsletter as their featured Muscle Car of the week.